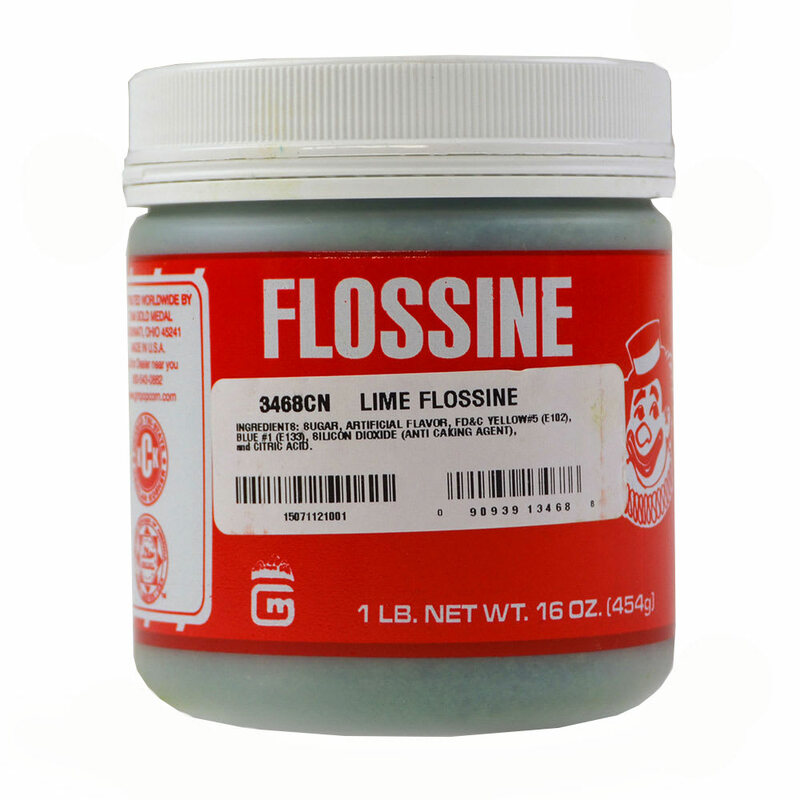 The Gold Medal 3468CN Leapin' Lime Flossine® gives cotton candy a citrus flavor and scent. Mixing the ingredient into sugar requires 2 tablespoons for every 10 pounds of sugar. 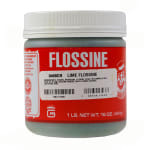 If cornstarch is used with Flossine, it will prevent clogging in the machine's heating elements. "I have made quite a few flavors of cotton candy & this one is by far one of my favorites." "I use to make kettle corn. Pale green color."